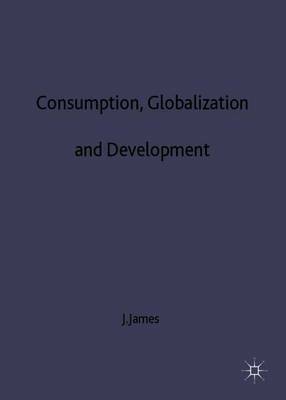 This volume is concerned with the complexities of the relationship between globalization and different groups of consumers in developing countries. 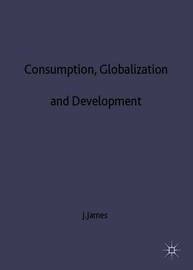 Globalization, it is argued, can yield frustration and disappointment as well as welfare gains for consumers; it may, but does not necessarily, displace local products and via the rapid recent expansion of the mass media, it offers policymakers new opportunities to deal with acute social problems. JEFFREY JAMES is Professor of Development Economics at Tilburg University in The Netherlands. He was previously Assistant Professor of Economics at Boston University, USA; Staff Member in the Technology and Employment Branch, ILO, Geneva; and Research Fellow, Queen Elizabeth House, Oxford. His many books in this area include Economics of New Technology in Developing Countries (with Francis Stewart); Technology, Institutions and Government Policies (with S.Watanabe); The State, Technology and Industrialization in Africa: The Transition to Egalitarian Development (with Keith Griffin); and Technological Systems and Development (with Haider A.Khan).